A few days of warmth and sun and the garden takes off. The bees are enjoying the 80 degree temps and bright sun, too. 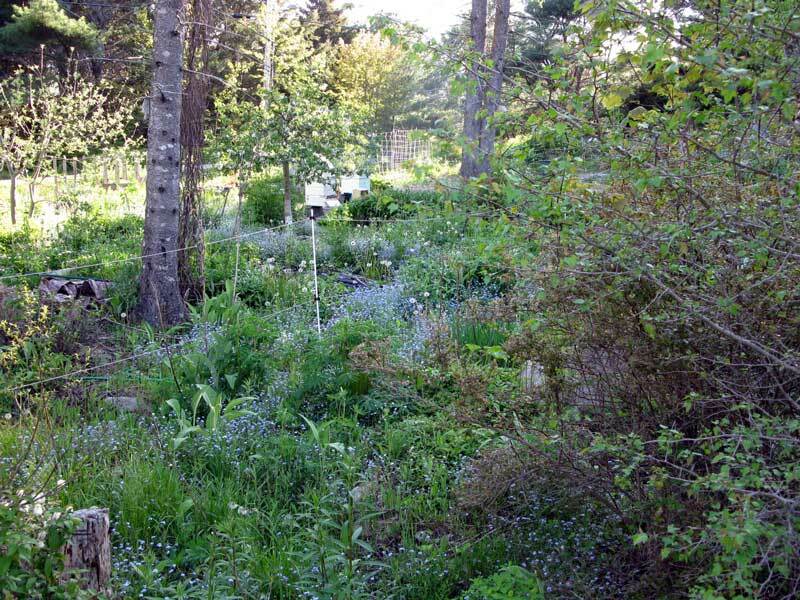 The two hives in their new position in the lower garden are in the center of this photo, nearly hidden in new growth. 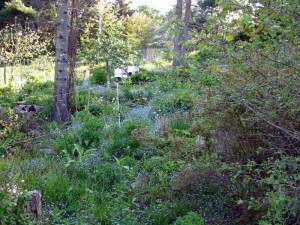 This entry was posted in Uncategorized and tagged bees, garden, summer on June 1, 2011 by APo.